Services are scheduled for 11 a.m. Monday, Aug. 7, at Our Lady of Grace Catholic Church for Sergio Orosco Robles. Robles, 33, passed away Saturday, July 29, 2017, in Fort Sumner. Interment will follow the services at Twin Oaks Memorial Park. Pallbearers will be Daniella Moreno, Tommy O. Sanchez Jr., Hondo Valdez, Jeremey Ponce, Valdemar Diaz, Richard Van Horn, Paco Zepeda, Noel Carrasco, Omar C. Moreno Jr., Daniel Zepeda, Mario Zepeda, Mike Soza, Joseph E. Ponce and Boy Garcia. Visitation will be held from 8 a.m. – 5 p.m. Saturday at Anderson-Bethany Funeral Home of Roswell. A rosary will be recited at 7 p.m. Sunday at Anderson-Bethany Chapel. Sergio was born Dec. 13, 1983, in Artesia to Guadalupe Robles and Elidia Orosco. He was a very proud father of his three boys and fiancée Marissa Zepeda. Sergio enjoyed working for Silver Oak Drilling and loved spending time with family and friends when he was away from work. He liked fishing, camping, and barbecuing with his loved ones. Living life to the fullest, with a beer in his hand, was what mattered most to Sergio. 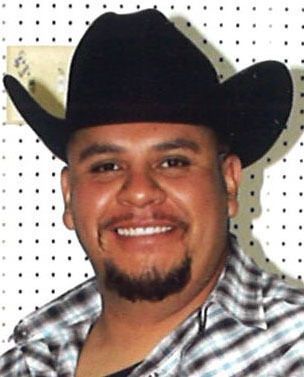 Those left to cherish his memory include his fiancée, Marissa Zepeda; children Sergio O. Robles Jr., Ezequiel Guadalupe Robles and Angel Antonio Robles; godchildren Maricela J. Ponce and Audryna R. Ponce; mother Elidia O. Robles of Fort Sumner; sisters Debbie (Sanchez) Moreno and husband Omar Sr. of Roswell, and Priscilla (Sanchez) Aragon and husband Guillermo M. of Midway; brothers Tommy Sanchez Sr. and wife Delma of Artesia, Danny O. Sanchez and wife Lorena of Clovis, and Philip O. Sanchez and fiancée Shirilyn Wilson of Arizona; and numerous nieces and nephews. He was preceded in death by his father, Guadalupe F. Robles of Durango, Mexico; maternal grandparents Manuel Lopez and Angelita Lopez of Morton, Texas; maternal great-grandparents Celso C. Palma and Isabela Palma of Artesia; and paternal grandparents Bertha Franco Robles and Isidro Robles of Durango, Mexico. Arrangements are under the direction of Anderson-Bethany Funeral Home. Condolences may be expressed online at www.andersonbethany.com.